Pernod Ricard SA RI.FR -2.42%Thursday said it had appointed Daniele Ricard as chairwoman, as the French alcoholic drinks company reported a jump in full-year net profit boosted by strong demand for high-end drinks in emerging markets and the weak euro. 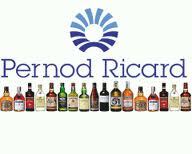 “Pernod Ricard is confident in its capacity to continue to grow thanks to the strength of its portfolio of premium brands, the quality of its distribution network and its leading positions in the most promising emerging markets and its policy of significant investment behind key brands and markets,” said the company. The company appointed Daniele Ricard, 73 years old, as chairwoman, replacing Patrick Ricard, her late brother, who died suddenly on Aug. 17. Alexandre Ricard, 40, the nephew of Patrick, was named deputy chief executive. At the end of January 2015, Alexandre Ricard will replace Daniele Ricard as chairman and Pierre Pringuet as CEO, a position that carries an age limit of 65.